Byron is a master software engineer working in the IT and Telecom domains. He is an applications developer in a wide variety of applications/services. He is currently acting as the team leader and technical architect for a proprietary service creation and integration platform for both the IT and Telecom industries in addition to a in-house big data real-time analytics solution. He is always fascinated by SOA, middleware services and mobile development. Byron is co-founder and Executive Editor at Web Code Geeks. Here at Web Code Geeks we know how much you love books about programming; we are geeks ourselves. After all, a programmer that respects himself should always have his face in a book, he has to keep up with the latest technologies and developments. For this reason, we have decided to distribute 9 of our books for free. You can get access to them by joining our Newsletter. Additionally, you will also receive weekly news, tips and special offers delivered to your inbox courtesy of Web Code Geeks! This is just the beginning, and as Web Code Geeks grow, there will be more free goodies for you! So let’s see what you get in detail! 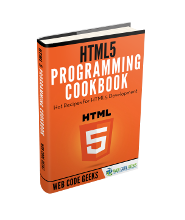 HTML5 Programming CookbookHTML5 is a core technology markup language of the Internet used for structuring and presenting content for the World Wide Web. Its core aims have been to improve the language with support for the latest multimedia while keeping it easily readable by humans and consistently understood by computers and devices (web browsers, parsers, etc.). HTML5 is intended to subsume not only HTML 4, but also XHTML 1 and DOM Level 2 HTML. 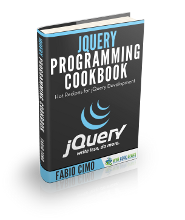 In this ebook, we provide a compilation of jQuery based examples that will help you kick-start your own web projects. We cover a wide range of topics, from UI Widgets, to Drag and Drop functionality and CSS manipulation. With our straightforward tutorials, you will be able to get your own projects up and running in minimum time. 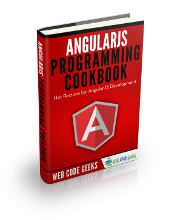 AngularJS Programming CookbookAngularJS (commonly referred to as “Angular”) is an open-source web application framework maintained by Google and by a community of individual developers and corporations to address many of the challenges encountered in developing single-page applications. It aims to simplify both the development and the testing of such applications by providing a framework for client-side model–view–controller (MVC) and model-view-viewmodel (MVVM) architectures, along with components commonly used in rich Internet applications. In this ebook, we provide a compilation of AngularJS based examples that will help you kick-start your own web projects. We cover a wide range of topics, from Single Page Apps and Routing, to Data Binding and JSON Fetching. With our straightforward tutorials, you will be able to get your own projects up and running in minimum time. 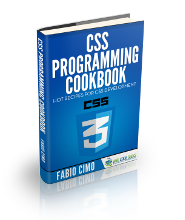 In this eBook, we provide a compilation of CSS based examples that will help you kick-start your own web projects. We cover a wide range of topics, from text styling and table design, to class inheritance and hover effects. With our straightforward tutorials, you will be able to get your own projects up and running in minimum time. 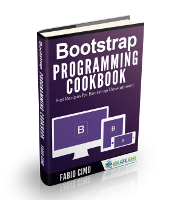 In this ebook, we provide a compilation of Bootstrap based examples that will help you kick-start your own web projects. We cover a wide range of topics, from grids and navigation bar creation, to layouts and forms design. With our straightforward tutorials, you will be able to get your own projects up and running in minimum time. 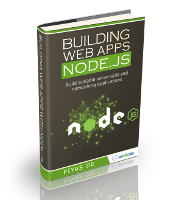 In this book, you will get introduced to Node.js. You will learn how to install, configure and run the server and how to load various modules. Additionally, you will build a sample application from scratch and also get your hands dirty with Node.js command line programming. 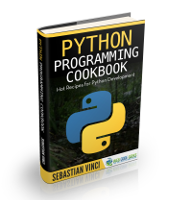 Python Programming CookbookPython is a widely used high-level, general-purpose, interpreted, dynamic programming language. Its design philosophy emphasizes code readability, and its syntax allows programmers to express concepts in fewer lines of code than would be possible in languages such as C++ or Java. The language provides constructs intended to enable clear programs on both a small and large scale. 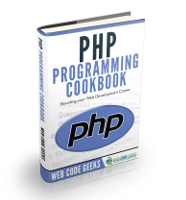 PHP Programming CookbookPHP is a server-side scripting language designed for web development but also used as a general-purpose programming language. Originally created by Rasmus Lerdorf in 1994, the PHP reference implementation is now produced by The PHP Group. PHP originally stood for Personal Home Page, but it now stands for the recursive backronym PHP: Hypertext Preprocessor. In this ebook, we provide a compilation of PHP based examples that will help you kick-start your own web projects. We cover a wide range of topics, from HTML tables and files uploading, to SOAP clients and Curl command execution. With our straightforward tutorials, you will be able to get your own projects up and running in minimum time. 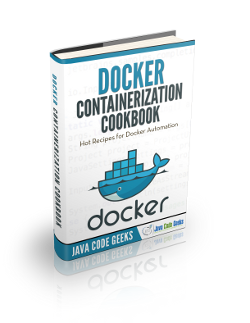 Docker Containerization CookbookDocker is the world’s leading software containerization platform. Docker containers wrap a piece of software in a complete filesystem that contains everything needed to run: code, runtime, system tools, system libraries – anything that can be installed on a server. This guarantees that the software will always run the same, regardless of its environment. 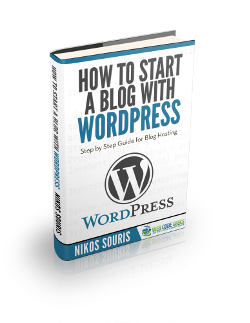 How to Start a Blog with WordPressBlogging has surged in popularity in recent years. Companies and individuals are using blogging in order to express their voices and connect with their audience. Most of this is performed on the popular WordPress platform. Web Code Geeks recommend using WordPress as your publishing platform. We have been using it with great success for several years now. This short guide will help you start your own blog with WordPress. It will get you up to speed to quickly launch your personal or company blog! 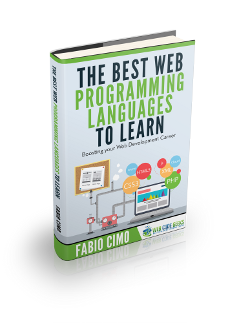 The Best Web Programming Languages to LearnWeb development is a broad term for the work involved in developing a web site for the Internet (World Wide Web) or an intranet (a private network). Web development can range from developing the simplest static single page of plain text to the most complex web-based internet applications, electronic businesses, and social network services. 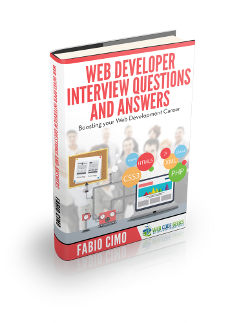 Web Developer Interview QuestionsWeb development is a broad term for the work involved in developing a web site for the Internet (World Wide Web) or an intranet (a private network). Web development can range from developing the simplest static single page of plain text to the most complex web-based internet applications, electronic businesses, and social network services. 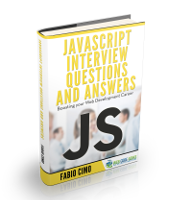 The aim of this minibook is to provide a wide range of questions that a web developer can be asked during a job interview. Preparing for a job interview can be a daunting process if the scope of what is to be asked is so large. Web development includes a considerable set of skills and languages, and an interview of this scale is sure to be all inclusive regarding the various web technologies. How to become a Web DeveloperWeb development is a broad term for the work involved in developing a web site for the Internet (World Wide Web) or an intranet (a private network). Web development can range from developing the simplest static single page of plain text to the most complex web-based internet applications, electronic businesses, and social network services. 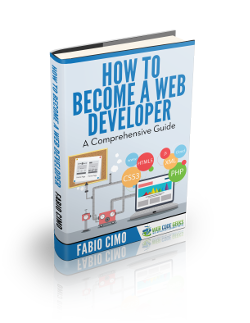 In this guide we’ll be providing in-depth information on how to become a Web Developer. Web development is one of the most exciting fields in the world right now. For a career that has only been around for twenty years or less, it has not only been a major field of interest, but has also changed our daily life in ways that one would never have thought. It has proven to be a widely successful career, and people start getting a great salary and satisfaction without even being fully dedicated. NOTE2: If you have subscribed and not received an email yet, please send us an email at support[at]webcodegeeks.com and we will provide immediate assistance. How do I download the free books? If you have not received an email yet, shoot us a message at support[at]webcodegeeks.com and we will help you. I received the email, but it just brought me to webcodegeeks.com, with no indication of where to download the books. shoot us a message at support[at]webcodegeeks.com and we will help you. Disregard that last message. All set. I don’t understand what is happening. You asked us to subscribed and we did but could still not download the books. I have subscribed to 2 newsletters already do I need to subscribe to this one also to receive the book or is there another way? After you enter a VALID email address, you will need to verify your subscription. A verification email will be sent to you and after you successfully verify your email, you will get a final welcome email which will contain the links to download the ebooks! For a supposed bunch of rockstar web developers, your site is a disaster. Just like Ben, Bailey, and Oninure, I have subscribed a couple of times and nowhere do your links takes me to a download page. And your “resources” page is under construction. Very sad. Please unsubscribe me.